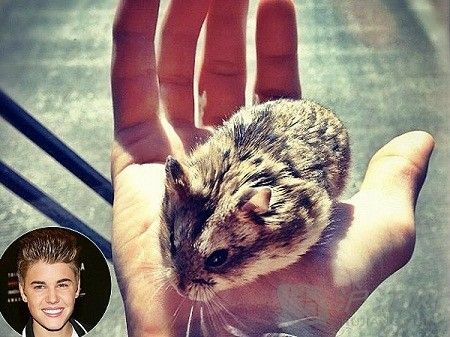 Bieber introduced his new friend, a hamster named Pac, on Oct. 20. "This is PAC the hamster my new pet and I will bring him to every meet n greet," he Tweeted with a photo of his furry friend in a cage. He held the brown hamster at an event with music video director Alfredo Flores on Oct. 27 and a few days later the star shared an Instagram shot of Pac sitting calmly in his palm.